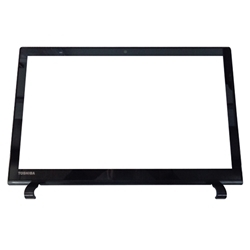 Description: New Toshiba replacement black digitizer touch screen glass. This is not the actual screen. This is the glass on top of the screen that reacts to touch. This part includes the plastic lcd front bezel. **This digitizer only works with the models listed. If you have any questions about this please email us before making your purchase.